Director Gore Verbinski has carved an eccentric path down the landscape of cinema. After kicking off his career directing a pair of DreamWorks adventures — the family friendly Mousehunt and the R-rated The Mexican — the genre-hopping helmer broke through with his instantly-iconic horror-remake The Ring. More success came with a string of blockbusters in the Pirates of the Caribbean series, followed by his first Academy Award nomination for the inventive animated effort Rango. But the Tennessee-born filmmaker hit a setback with The Lone Ranger, a massively-budgeted epic that tanked with critics and at the box office. Rather than play it safe with some cushy franchise gig to recoup, Verbinski took the genre leap once more, crafting the original physiological thriller A Cure for Wellness. 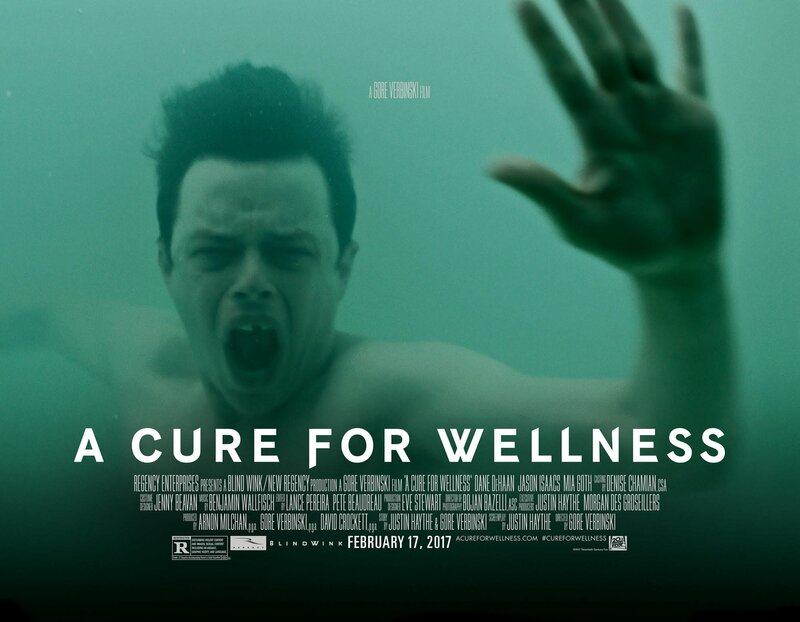 With a story developed by Verbinski and screenwriter Justin Haythe, A Cure for Wellness stars Dane DeHaan as an ambitious young executive tasked with retrieving his company’s off-the-deep-end CEO from an exclusive health spa set high in the Swiss Alps. While at first blush, this lovely resort seems a place lined with wealthy clients, terrycloth robes and soothing saunas, the deeper the exec gets into this labyrinthine retreat, the darker and more deranged its secrets get. 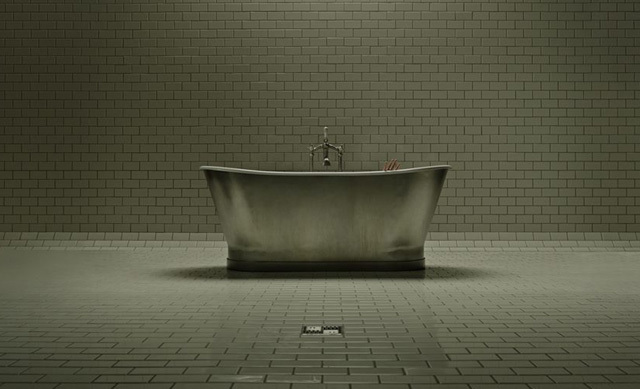 Following the 20th Century Fox Showcase where the first 35 minutes of the film were screened, we sat down with Verbinski to dig into A Cure for Wellness, its message, muse, and why meaningless can be comforting. ComingSoon.net: It’s been 15 years since “The Ring.” What made you want to return to horror? Gore Verbinski: Well, I just started working on this story. It just sort of came out of working on the script. I would say this is a little more psychological thriller than straight-up horror. I call it “contemporary gothic.” But I’m fascinated with the dream logic of things. The genre allows you to really cast a spell with sound and music and image and performance. And it allows you to kind of break rules, particularly when you’re on a protagonist who’s losing his purchase on reality. You get to be the untrustworthy narrator. And in the case of “A Cure for Wellness,” I wanted to really explore this sense of inevitability. That there is a kind of denial and there’s a sense of something inevitable happening. And it’s that force, that sort of sickness or disease or the spot on your X-ray that is saying, and you can go to this place where you have wonderful terrycloth robes and pristine baths and your cell phone doesn’t work and you’re being told that you’re going to get better, if you disconnect from the modern world. But something else is happening. And it’s a force. It’s pulling the camera down the corridor and the protagonist towards his epiphany. So it’s spell casting. You’re conducting an experiment on people in a darkened room with sound and picture. 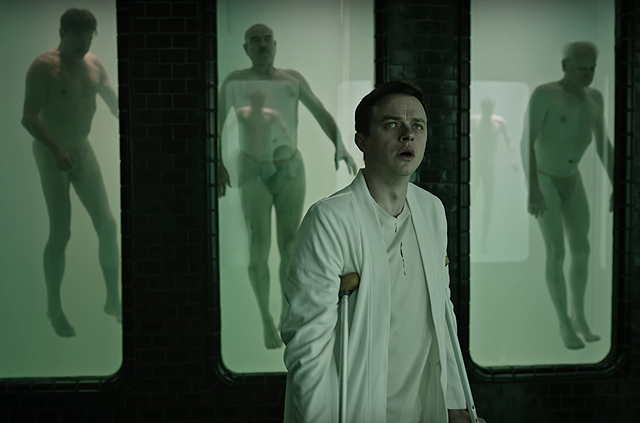 In the case of “A Cure for Wellness,” it seems like these movies work well when there’s a sort of zeitgeist, when there’s something else. They’re not social commentary, but there’s a feeling that you get in the movie, and then there’s a feeling you get a week later, in your real life. And I think there’s a palpable sense of, we’re not well, as a society, and sort of what is it all for and what does it mean? We’re born. We go to school. We get a job, and we die. Is there something more? Isn’t there something else to live for? And I think to sort of play with that and play with an audience and make them ask those questions, and take a wonderful place, like a health spa and turn it upside down. CS: What do you feel like your job as a filmmaker is when you’re making a story that’s original? Politically speaking. CS: You kind of hinted at that, the idea that there’s something, we have this idea of wellness, but there’s a sickness there. CS: Well, because in work, we manifest a sense of purpose. And then, as we’ve seen at the castle in the movie, when he’s removed from that, when he’s removed from the wifi signal, when he’s removed from his obligation to that office, what are you? Verbinski: Exactly. So I don’t think that is political, I think that’s human, the human condition. So we’re sort of diagnosing the human condition, if you will, and that’s the great calm, right? You can say, “Look, you’re not well, but the good news is, there’s a cure. There’s hope.” And there’s a book by Thomas Mann called “The Magic Mountain,” which deals with these people who are clutching onto their sickness like a badge. And it’s right before the outbreak of World War I. And there’s a sense of denial in that. And I think there’s a wonderful sense of “come to this place and take a respite from the pressures of the modern world.” And as we kind of disconnect from that and we’re sort of adrift, there’s that lotus eaters aspect of it. It’s like an opium drip, right? And so, you have these kind of wealthy CEO’s, and they’re killers. They’ve had to crush skulls, get ahead to do what it takes to beat the other. It’s a competitive world. And then, who doesn’t want a note from their doctor saying, “None of it’s your fault. You’re absolved because you’re not well.” So that’s kind of the con of this place, and the allure. And so, then they’re kind of, “Okay, well, I’m not well, but there’s a cure.” So I’m caught in that loop, and it’s this idea that nobody leaves this place because they come and it preys upon the contemporary social condition. CS: Well, speaking to that, that no one leaves and there’s other elements that we saw hinted at in the first 35 minutes of the film, including the fact that there is at one time they mention how at one point the sanitarium burned down. And it actually reminded me of Linda Hazzard and Wilderness Heights. Do you know this story? Verbinski: That’s fantastic. Well, I’m curious what the pharmaceutical industry thinks of our movie, because we do, we live in an age where people create medicine, and then we invent a disease for it. CS: Cancer for the cure. Verbinski: Yeah. We used to call these things by different names, but there’s a pill for everything now. And also, we quite often lob off your arm, lob off your breast, lob off your this, cut it out. Or do you live with your disease? I have a friend who’s dying of cancer, and he’s just choosing to enjoy the last three years of his life. CS: Rather than be crippled by the treatments? Verbinski: Yeah. And I think people are going to bring a lot to the movie as well, because it’s all out there. “It’s time for your treatment” is a wonderful metaphor. I mean, it’d be ideal if that was sort of our marketing campaign: Come take the cure this Friday in a theater near you. CS: Well, it does seem like they’re teasing that a bit with the viral videos that have these meditations, that start off feeling very restful and then get kind of existential, like “you don’t mean anything.” For me, that actually works. When I worry about my problems, it makes me feel better to think about how little I matter in the grand scheme of things. Then I can kind of take a breath. Verbinski: That’s a beautiful thing, I mean, to look at the stars and to get some perspective. Verbinski: Oh, I have it. CS: I love that. And you turn it on, it’s a very visual reminder of you’re infinitesimal. You’re so, so small. 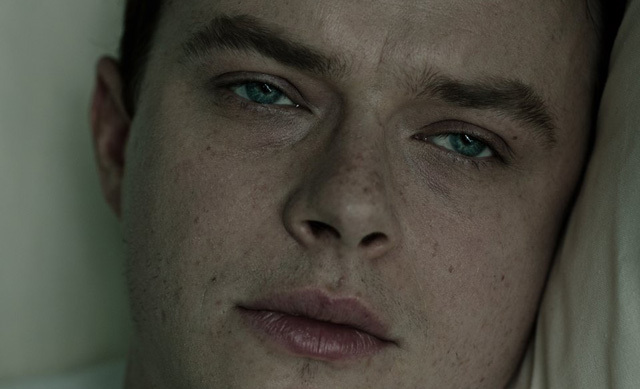 CS: Another interesting thing that we pick up from the beginning of the film – Dane DeHaan is an anti-hero. He’s not a very noble guy. What made you want to base the film around such a character? Verbinski: I think it’s always dangerous to kind of create a character who’s unlikeable. But in this case, we needed him to have that much distance to fall, right? And to really underscore the contemporary illness, if you will. I mean, he is a derivatives trader. He’s on his way (to success). He’s going to be in that boardroom in a matter of years. You could say he has it in spades, and he’s ripe for diagnosis. So I think giving your protagonist that sort of sense of denial. And he’s got a good bullsh*t detector. In the scene where he’s in the office with the deputy director, I had Dane look at the “Five Easy Pieces” scene with Jack Nicholson, and the chicken between his legs. And just, as soon as he gets the sense that he’s getting the runaround, he’s like, “Look, you know.” He’s going to cut through it. And I just think he’s curt. He’s short. He doesn’t have time to waste. But that’s the whole thing. This place is all about losing track of time. 20th Century Fox will release A Cure for Wellness on February 17, 2017.